In local marketing of any kind, you will often hear the term “niche” audience. This refers to a condensed group of users, targeted based on the probability of them utilizing your services. For local businesses in DFW, targeting a specific area, whether it’s a county, city, state, or district, can produce a more efficient marketing campaign for your company. Instead of wasting dollars on irrelevant traffic, you’ll be maximizing your spending. Call 800.231.4871 for local SEM. When you consider the advantages above, it’s difficult not to have interest in location targeting, and local SEM overall. Every business enjoys making money and spending less of it, so the appeal of local search marketing is perfectly rational. The only hurdle is finding a company you trust enough to execute an effective strategy that fits your marketing vision. 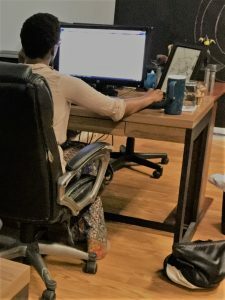 Based on our documented results, DFW SEO is the team for the job. 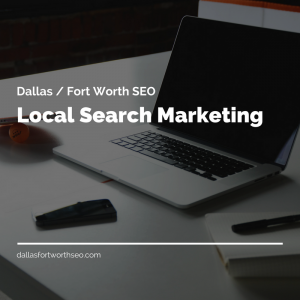 If you have decided to invest in local search marketing services, place your trust in the #1 search marketing company in all of DFW. Dallas / Fort Worth SEO is the premier internet marketing company in the Metroplex. We specialize in local search engine optimization, as well as PPC advertising. Our goal is to turn your company into a recognizable brand within your service area, and to rank it as high as possible on Google SERPs. We know. You’ve tried internet marketing before and it came back to haunt you. You’ve heard every sales pitch, and know every trick in the book. DFW SEO is different in that we offer month-to-month agreements. You are not locked into a long-term contract which keeps us 100% accountable. We are so confident in our services that we eagerly offer monthly agreements with an expectation that you’ll never want to leave. Call 800.231.4871 for local search marketing services. Updated on March 30, 2018 at 9:51 pm by Dallas / Fort Worth SEO.